Latest data from Mortgage Advice Bureau, the UK’s leading mortgage broker, points to initial signs of a potential correlation between an increase of First Time Buyers getting their foot on the ladder and a decrease by those purchasing in the Buy-To-Let sector. 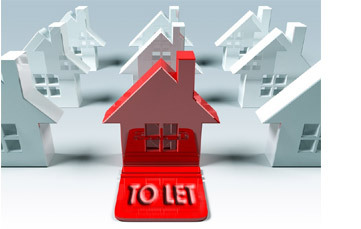 •The price of the average property purchased by First Time Buyers fell in January by 2.7%, suggesting perhaps that there is less competition for the same sort of property with Buy-To-Let investors. •The average purchase price of Buy-To-Let properties purchased has fallen by 12.7% year on year, potentially indicating that there is less demand by this particular sector and suggesting that investors are turning their attention to cheaper priced property areas. •Figures released in February from the CML report an increase in First Time Buyer activity in 2016 of 8% year on year, and a decrease in the volume of Buy-To-Let lending by 20% year on year. Brian Murphy, Head of Lending for Mortgage Advice Bureau comments, “This is the first full month of data for 2017 and as such, provides us with an opportunity to review market activity where all lenders regulated by the Prudential Regulation Authority (PRA) have had to operate under the new Buy-To-Let underwriting ‘regime’. During 2016 there was a mixed picture in terms of adoption of the more stringent lending criteria for investors, with some lenders adopting the new practices only weeks before the new requirements were implemented, whereas others had introduced the changes some months earlier. As a consequence, this allowed Buy-To-Let investors an amount of ‘wiggle room’ for several months to shop around and find slightly more flexible terms when arranging their lending. With lenders now operating on a more stringent basis when underwriting Buy-To-Let borrowers, this is levelling the playing field between buyers who are borrowing to fund the purchase of their first home and investors who are borrowing to fund investment. The recent data available from the CML shows us that First Time Buyer numbers are now the highest since 2007, which given the cooling in Buy-To-Let activity over the last few months as a result of the SDLT changes in 2016, impending tax changes and the new rules around lending, perhaps isn’t a coincidence. What’s also interesting to note is that the average First Time Buyer LTV has increased slightly, which could perhaps be a reflection on the fact that lenders are being slightly more flexible and accommodating in terms of assessing affordability, given current levels of continuing ultra-low interest rates. With some lenders introducing 95% LTV rates in January to ‘pick up the baton’ from the Help To Buy mortgage guarantee scheme which ended in December, this may be another contributing factor to the increase in activity from this sector. It’s too early to tell if these initial observations will translate into an ongoing trend in 2017, but any increase in First Time Buyer activity is a welcome sign as this, historically, has had a positive ripple effect across the rest of the market.